On April 2, 2015, the Ninth Circuit Court of Appeals decided a complex Comprehensive Environmental Response, Compensation, and Liability Act (CERCLA) contribution cost recovery case in AmeriPride Services Inc. v. Texas Eastern Overseas Inc. (TEO), a dissolved Delaware corporation. The Ninth Circuit vacated this District Court’s rulings on several grounds. This case involves soil and groundwater contamination at an industrial area of Sacramento, California which resulted from the release of perchloroethylene (PCE), a CERCLA hazardous substance used in a dry cleaning and laundry operations. The owner of the facility merged with TEO, which assumed its liabilities, while AmeriPride, eventually became the owner of the property. AmeriPride began a cleanup at the site after its environmental consultant discovered PCE in the soil. The cleanup is still ongoing, now under the direction of a California state agency . Over the years, several CERCLA cost recovery lawsuits have been filed in connection with this cleanup and offsite contamination that is also linked to the use and release of PCE. AmeriPride entered into large settlements with adjoining landowners totaling over $10 million, and the settlements were approved by the presiding District Court. At the same time, AmeriPride’s lawsuit against TEO continued, and in 2011, the District Court held that TEO was liable for a considerable share of AmeriPride’s response costs, and this amount was determined by the court to be $7.7 million, taking into account the amount of the separate settlements. Moreover, the District Court assigned TEO’s claims against its insurers to AmeriPride, pursuant to California law. 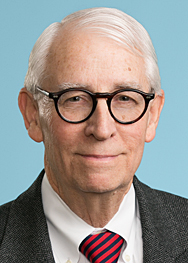 On appeal, the Ninth Circuit vacated the District Court’s rulings, holding that the District Court erred in not explaining which equitable principles it used in allocating cleanup costs. It further held that the District Court was not bound to apply either the Uniform Comparative Fault Act (also referred to as the proportionate share approach) or Uniform Contribution Among Tortfeasors Act (also referred to as the pro tanto approach), but that the allocation should be made by the District Court based on such equitable factors as the District Court deems appropriate. Because the District Court did not sufficiently explain its reasoning, the Ninth Circuit could not determine whether the District Court abused its discretion in allocating costs. In addition, the District Court erred in not determining how much of the response costs incurred by the adjoining landowners, that were the object of the separate settlements, were consistent with the National Contingency Plan. Lastly, the Ninth Circuit held that California law did not permit the District Court to assign TEO’s claims against its insurer to AmeriPride.